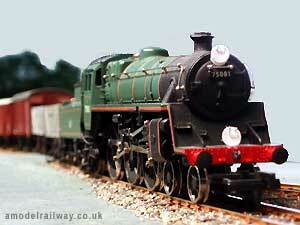 All locos are fitted with electronics chips and controlled with the Hornby Zero 1 system. 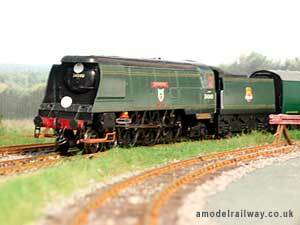 The Standard Class 4MT was built in Swindon 1951-1956 and was one of the last class of locomotives to remain in service. The Class 4MT undertook shunting duties at Crewkerne during its journey conveying freight from Yeovil Junction to Chard Junction and Axminster. 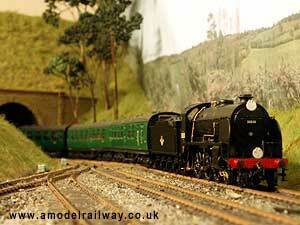 34005 Barnstaple (West Country Pacific) with the 8.03 Surbiton-Okehampton car ferry. This train comprise 8 GUVs for conveying cars and 3 passenger coaches for holiday makers travelling to the west country. 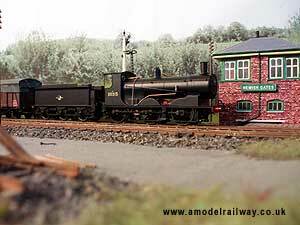 Adams G6 tank locomotive 30274 on shunting duties at Hewish Sidings in winter. This class of locomotive was built between 1894 and 1900 and the last remnants were withdrawn from service in July 1961. These N15 locomotives were once the pride of the fleet conveying express passenger trains to and form London and the South West. Towards the end of their life they were to be found on secondary and freight duties. Sir Gawain looks forlorn in weathered condition. 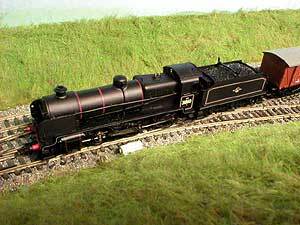 The Maunsell designed N Class started life for the SECR and were famous for heavy freight duties at Channel ports durng WW2. 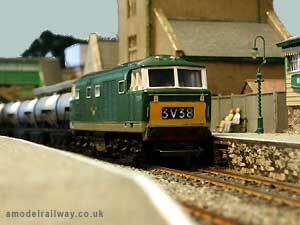 With dieselisation they were moved to the South Western lines and used on passenger and light freight duties. Withdrawal started in 1962. The Schools is another class that was moved from the Eastern section to the west as a result of the spread of electric locomotives in Kent. No 30911 was withdrawn from service in December 1962. 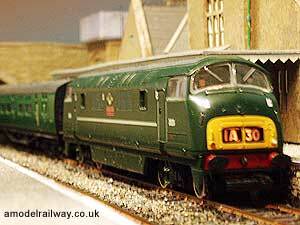 The Hymek cLass 35 was a Western Region locomotive that undertook trials on Southern metals in the early 1960s. 7074 on its way to the capital. The headcode signifies a Western Region Milk Train, which places it here after 1963. The afternoon of Saturday 7th August 1965. A Class 33 with the 11am Waterloo-Exeter express growls through Misterton Station. The Class 33 was a rare sight on this line in 1965. They did not become prevalent until the 1970s when they took over from the Class 42 Warshps. Warship class 42 'Highflyer', reputedly the first of its class to enter service on BR(S). 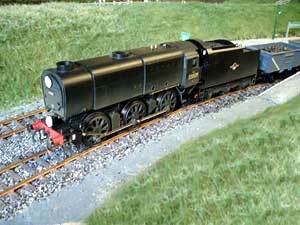 Bulleid Q1 Austerity 0-6-6. This unusual locomotive was built in the 1940s. To save weight and materials at a time of shortages in WW2 all non-essential material and fittings were removed. 35012 United States Line (Merchant Navy Pacific) carrying the nameboard of the Atlantic Coast Express and pulling Mk1 passenger rolling stock. 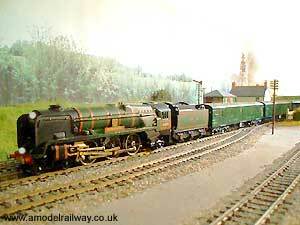 34057 Biggin Hill (Battle of Britain Pacific). 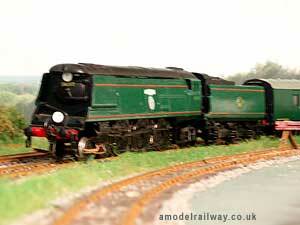 This is the streamlined form of this locomotive class. 34057 lasted until the end of steam in 1967 and then scrapped. Here shown with an early 4,500 gal. tender. Built at Brighton works entering service in Sept. 1946 as 21C140. Named Crewkerne in Oct. 1948. Rebuilt in Oct. 1960. It was first allocated to Stewarts Lane shed for S.E. routes and transferred later to Bournemouth shed for Waterloo to central Southern England services. It also hauled the Pines Express over the S&DJR. 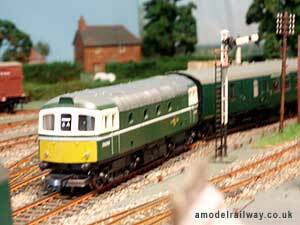 The LSWR Drummond Class 700 a.k.a. Black Motor lasted until December 1962 and none were preserved. It was intended for heavy freight workings, occasionally seen on passenger trains and towards the end of its life used for snow plough duties. Robert Urie designed the S15 in the 1920s and Richard Maunsell later improved the design. 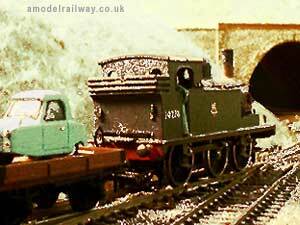 Destined for freight haulage the S15 also found use on pasenger duties. 30830 built at Eastleigh works in 1927 and withdrawn on 31st July 1964. Shedded at Salisbury. When the Western took over the Southern west of Salisbury in 1963 they introduced DMUs to the line. Here is a Class 117 on a Yeovil Junction to Exeter Central service. 2 Rebuilt Bulleid West Country Pacific 4-6-2 34005 Barnstaple G & R Wrenn Ltd. Driving wheel flanges turned down for finer scale. Super neo magnet upgrade. 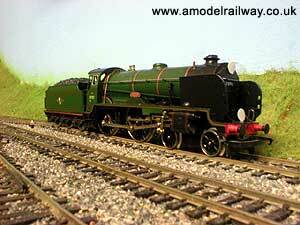 3 G6 0-6-0 30274 Wills finecast whitemetal body on Hornby Dublo R1 chassis with finescale wheels. Kit built. Weathered paint finish. Super neo magnet upgrade. 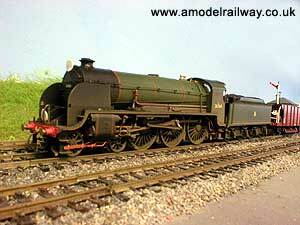 10 Bulleid Q1 Austerity 0-6-6 33029 Ks whitemetal kit. Biggin Hill Airfix plastic body kit on Kemilway chassis kit. 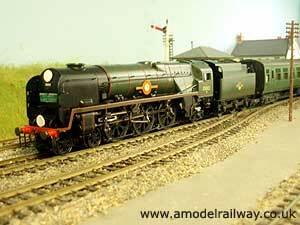 Crewkerne 'Great British Locomotives' partwork Bulleid Battle of Britain on Hornby motorised chassis. Re-liveried and super detailed. 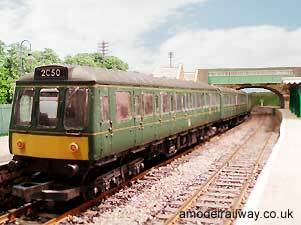 7 Class 35 Hymek D7074 Triang Hornby Originally BR blue. Repainted in BR green, renumbered and additional decals applied. 8 Class 33 D6506 Lima Trainspotting notes supporting use of this Diesel on the line in 1965. DMBS to DNS conversion. Flush glazing, 2C50 head code & destination blinds fitted.